A music driven journey through hip hop and R&B that will encourage, inspire, and challenge you to be more Kingdom Minded. Welcome to the Kingdom Minded Show. 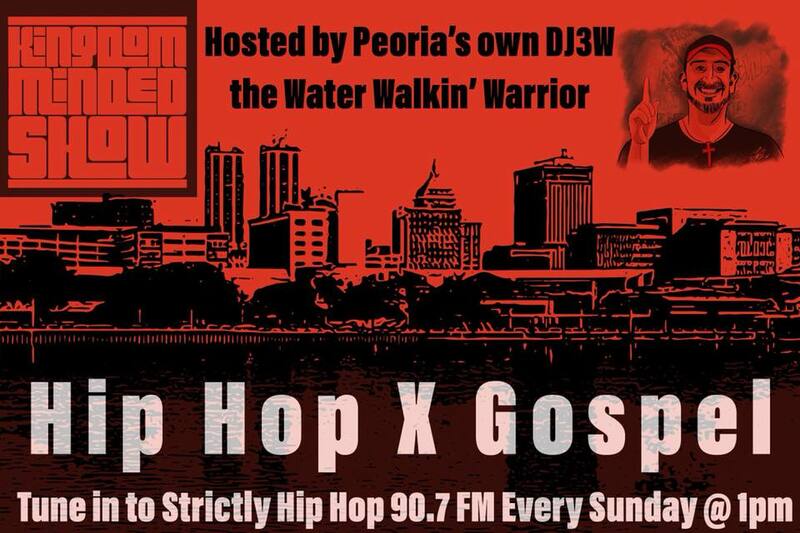 We hope you join us for the entire 2 hour journey through Christian hip hop and R&P that's intended to inspire, challenge and encourage you to be more Kingdom Minded. This week we have DJ Sean Blu in the #GuestDJBooth and new music by Yaves, Reverend Ricardo and Dee-1. We hope you are blessed by our presentation. You can listen by pressing play on the Mixcloud box. Here is this week's playlist. We hope something was stirred up in you to be more Kingdom Minded. Until next week... grace and peace. Thank you for visiting our website. We hope you are encouraged, challenged and inspired to be more Kingdom Minded by the show. Feel free to reach out to us on Twitter @KingdomMindedRS. You can listen to the show by pressing play in the box below. Help The Kingdom Minded Show with admin costs as we grow. Thank you in advance for your support! Visit the Water Walkin' Warriors personal Thumbtack page! WwW Productions. Simple theme. Powered by Blogger.